The next morning there was an excited buzz in the Rose Room, where residents gathered for breakfast. Bright sunshine burst through the French windows, latticing light across tables as staff moved around, topping up cups and taking orders. Guests munched on muesli and whispered over plates of crispy bacon and lightly poached eggs. Lucinda reached for a jar of gooseberry marmalade. A smug smile crept across her lips as she spread the thick sweet substance over her toast. She broke a piece and popped it into her mouth. At last, she had her own class! Today, she would endeavour to bring creativity into the lives of a group of guests who would be inspired by her talent. She thought back to the day that she read the advert for Boomerville in her local paper. She’d been blinded by the vision that this was her path, the route to her future and a journey that she had to make. Lucinda had no money and scraped a living by teaching and selling the occasional painting. She lived in a shared house with a handful of other eccentric creatives on the outskirts of London and led a bohemian life, but as the years progressed she knew that she needed some form of security as she got older. Boomerville had come like a bolt out of the blue, a sign that she must follow and, acting on instinct, Lucinda filled in the booking form, reserved a seat on a train and began to pack. Now, as she sat in the dining room, she thought about her finances. Her money was running out. She urgently needed a job or a wealthy lover. Lucinda smiled to herself as she finished her breakfast and tossed her napkin to one side. She’d been working on her options since her arrival a couple of weeks ago and had high hopes for both. Today would accelerate her mission. A pop-up art class had been announced for that afternoon and Lucinda was to be the tutor. As she made her way out of the room, she glanced at the other diners and knew that those lucky enough to have booked a place were wondering what the subject matter would be and whether Lucinda was a suitable instructor. Finally, she was going to be put to the test. So, You Think You're A Celebrity...Chef? was runner up the Winchester Writers festival for best TV Drama and takes a light-hearted look at the world of celebrity chefs as they battle it out for fame and fortune. Coffee, Tea, The Caribbean & Me was runner up at The Write Stuff, LBF, 2015 and is an Amazon best-seller and top recommended read by Thomson Holidays. Jungle Rock, a romcom novella set in Australia, revolves around a TV game show. ‘Britain’s answer to the Best Marigold Hotel! Book me in for Sharing with the Shaman and Clairvoyance in mid-life – this book is fabulous!’ Nikki Ashton, Amazon best-selling author. ‘Caroline’s characters shone their magic brightly and kept me hooked, evoking strong emotions. A triumph, I absolutely loved this book.’ Nicky Clifford, Author. ‘I really wish I could check into Boomerville and participate in the courses. I loved this book, it is a great read. Thanks to the author for bringing the crazy characters to life - I can’t wait for the next book.’ Ronnie Montgomory, London. ‘A coming of age book for those of a certain age.’ Ann Magbanua, Philipines. ‘I thoroughly enjoyed this book. Good to read about middle-aged people falling in love and reinventing themselves. Highly recommended.’ Tracey Owen, Cumbria. 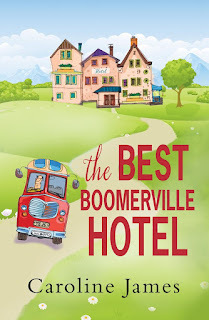 ‘Boomerville gripped me from the start with twists and laugh out loud moments. I loved it and hope we see more adventures in the future.’ Lisa Stewart, Southampton. ‘Caroline is a wonderful storyteller and I felt enveloped in a cocoon while reading Boomerville.’ Therese Ferguson, Author, USA. ‘I need to go to a place like this! Quirky characters, right up my street, I really enjoyed the story.’ Cal Sleath, Birmingham. ‘Caroline’s best book yet. I loved the characters and the Lake District setting was gorgeous. 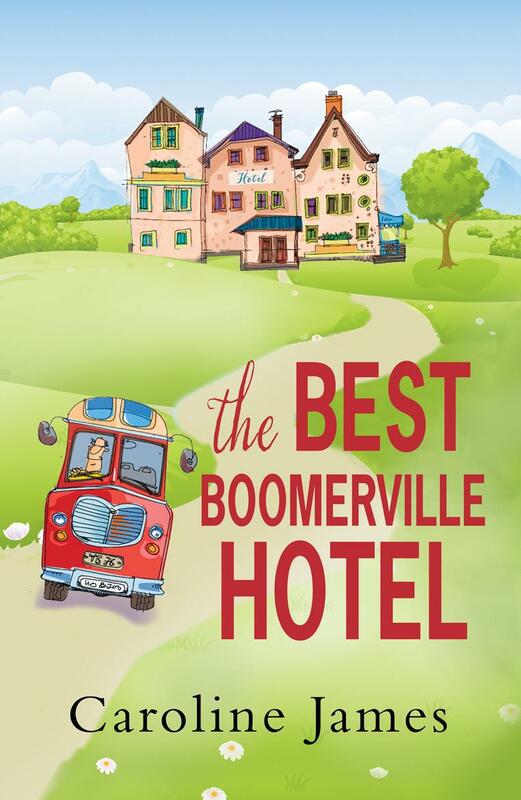 Boomerville is a wonderful journey.’ Amanda Williams, Wales.